It's every aca-group's favorite time of the year...time for Fall auditions. There's nothing quite like the excitement that accompanies welcoming new voices into your musical family. After all, these are potential recruits who you will spend most of your social life with for the next 2-4 years. So, you have to make sure that the fit is right for everyone involved. And the first step of this process is attracting talent. What better way to do that than with a personal Fall audition video? In reality, we'd all like a James Cameron-worthy promotional video full of explosions and special effects, but this requires a budget that the typical college student in no way possesses. Thankfully, you don't need of all that. 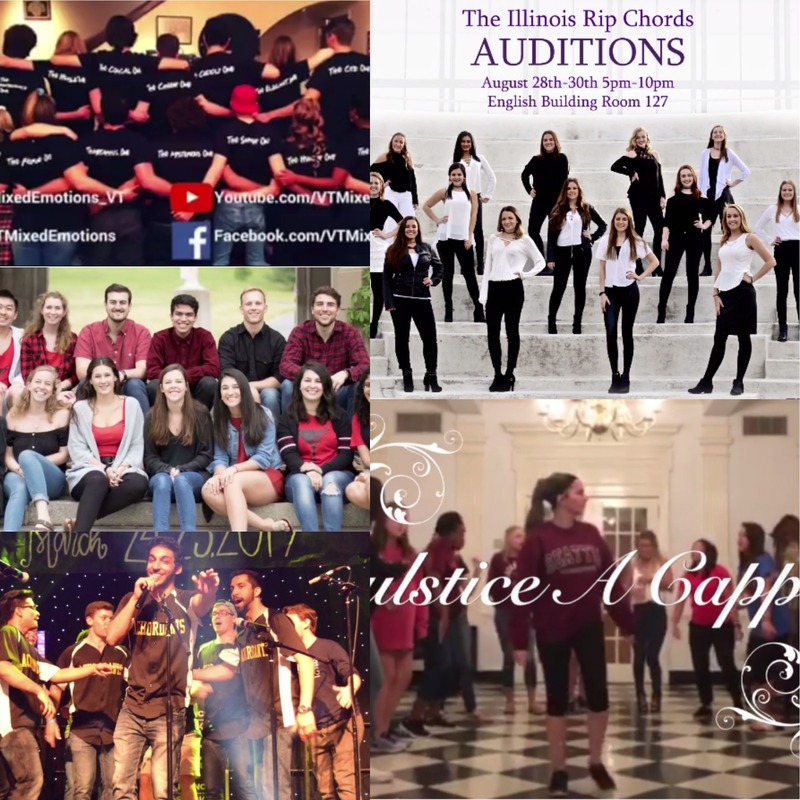 Below are five great examples of college a cappella audition videos that you can produce on a very limited budget (for the most part). What we love about this video is that it's part hype video, part behind-the-scenes footage of what the entire aca-experience is all about. What better way to promote your group than by providing them a sample of your work. Take a cue from the Rip Chords and add one of your tracks to a collage of still shots and short video clips. The Chordials are rockstars and this audition video showcases this very well. High energy music, recent accomplishments, and concert footage...sign us up now! While the music is important, the real reason aca-groups and bands, in general, stay together are for the people. This cool collection of clips on what happens off the stage is a great example of how to showcase personality and the bonds that are developed after joining an aca-group. Sometimes, you just need something completely different. Forget the cookie-cutter blueprint and do something creative, enticing, and downright funny like what the Achordants have created here.